(VEN) - The resolution also provided regulations on 2013 and 2014 tax exemptions, including Value-added tax (VAT), personal income tax and corporate income tax for households, individuals and organizations. (VEN) - As for State budget revenues over the 2013 and 2014 remaining profits, after raising funds according to regulations of groups and corporations which hold 100 percent of charter capital, including the one-member liability limited companies that are parent companies of economic groups, state corporations and in the parent – subsidiary companies model. (VEN) - The government recently issued Decree 204/2013/ND-CP providing specific regulations and guidance on the National Assembly’s resolution on the implementation of 2013, 2014 state budget, including the regulations on state budget collection over the dividend payout ratios in 2013 and 2014 in total state capital in state-owned joint stock companies (JSCs) of a number of ministries, sectors and localities. (VEN) - The Greater Mekong Sub-region (GMS) members consist of Cambodia, Laos, Myanmar, Thailand, Vietnam, China’s Yunnan Province and the Guangxi Zhuang Autonomous Region. (VEN) - Credit in 2013 is unlikely to achieve set target. However, due to new economic growth prospects, some experts said that credit growth in 2014 could come closer to 15 percent. (VEN) - The Ministry of Finance recently made public its Circular 156/TT-BTC, which would take effect on December 20 guiding the implementation of several articles of the Tax Administration Law, the Law on Amending and Supplementing Several Articles of the Tax Administration Law, and Governmental Decree 83/2013/ND-CP dated July 22, 2013. (VEN) - The General Department of Taxation issued legal documents on how to calculate corporate income tax (CIT) and personal income tax (PIT) in case of individual transfers their land use right to business. 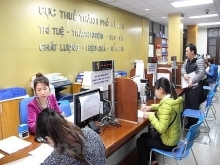 (VEN) - The Ministry of Finance officially submitted to the government a draft decree guiding the implementation of state budget revenue according to a resolution of the National Assembly, including tax exemption (value added tax and personal income tax) for households providing accommodation rental and corporate income tax exemption in 2013 and 2014 for firms supplying meals for shift workers. (VEN) - The Ministry of Finance is seeking comments on a draft circular guiding the implementation of the pilot collection and refund of taxes, other charges on goods exported and imported through specialized collection accounts of customs opened at commercial banks. (VEN) - Despite significant improvement, credit is unlikely to reach the 12 percent growth target this year. Economists are worried that the slow growth in 2013 would continue in 2014. 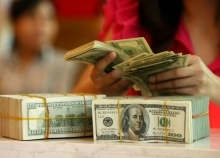 For this reason, economic experts have offered proposals, regarding monetary policy for 2014.